No one can hear you subscribe to ReelGood. Christopher Nolan has been painting on a large cinematic canvas for years. So when he took on the largest landscape available to a filmmaker – outer space – there was bound to be plenty of buzzing. Movies like Interstellar come with such lofty viewer expectations that we can no longer hold them to the standard of just being good entertainment. We want them to redefine some essential aspect of the way we interact with outer space at the movies. (Or perhaps that’s just the influence of a certain recent megahit that raised the bar for immersive realism in extra-terrestrial cinema — but more on that in a moment.) When a space movie does pull off that feat of broadening our horizons beyond what we thought was possible, it’s inevitably compared to one of these ten predecessors, listed chronologically, which first gave us a new way to look at the stars on our movie screens. Here’s mud — er, a rocket — in your eye. One of cinema’s first masters of illusion, George Melies took us on a 17-minute trip the to moon that fancifully imagined what space travel might be like. The movie was not meant to be realistic — the existence of lunar inhabitants called Selenites has since been disproven — but it did give audiences a dose of pure cinematic escapism and delight. Using his famous “stop trick” technique, which involved the splicing of frames to create the magical effect of things instantly appearing, disappearing or changing, Melies put the wheels in motion for many years of increasingly sophisticated outer space effects at the movies. It seems hard to believe it took until 1956 for this to happen, but Forbidden Planet became the first film in which the entire narrative occurs away from Earth, with humans travelling in a spacecraft of their own creation. (They had ridden in spacecrafts before, but only when they were abducted by aliens.) The film was a landmark in other ways as well, as its crew of space explorers and their jargon gave Gene Roddenberry the idea for Star Trek. It also features a helpful robot named Robby, who influenced all future movie robots, and special effects so astounding that their like was not even attempted again for another decade. For all the movie’s advances, though, the spacecraft still has the charmingly quaint design of a traditional saucer-shaped UFO. And space realism makes a quantum leap forward. The technical advancements in Stanley Kubrick’s masterpiece are an absolute visual marvel, and strangely enough, it’s all in service of what amounts to a big-budget arthouse movie. Kubrick’s technique for shooting spaceships moving through space became the standard that’s still followed today, and the camera tricks used to simulate a zero gravity environment still stuns us. This was also one of the first truly serious movies about space, one that showed the deadly consequences of things like being trapped outside the ship by a psychotic shipboard computer. The special effects wizard who should be part of any discussion of 2001 will instead have to settle for a mention here, in his debut feature as a director. Douglas Trumbull took skills he honed on 2001 and Andromeda Strain and delivered an environmental message movie in which the remaining forests of a ruined Earth are kept alive in geodesic domes aboard large space freighters — until the orders come to blow up the plants so the freighters can return to shipping freight. In addition to it serving as a sometimes satirical comment on our views on the environment, the movie also constituted a dazzling step forward in many of the techniques from 2001. Plus, it had little worker robots named Huey, Louie and Dewey that were likely the inspiration for R2D2 in Star Wars. Speaking of which. George Lucas’ defining creation is no mere movie — it’s one of the most iconic contributions to world culture of the 20th century. It’s not the first film to make outer space a playground for fantasy-adventure, but it was the first to hit all the right beats, and turned the space opera into a reliably profitable genre. Although Trekkers would never admit to this, the timing of Star Wars also whet audiences’ appetites for an eventual dozen (and counting) Star Trek movies, the first of which started things out quite inauspiciously just two years later. Star Wars‘ big technical contribution to the space movie is more or less to invent the space battlefield, as X-wings and TIE-Fighters demonstrated to exhilarating effect. If it weren’t for Alien, audiences might never have considered whether sound can travel in outer space. But in addition to having that great tagline (“In space, no one can hear you scream”), Alien introduced a type of visceral horror to a genre of movies that had focused more on adventure. Any movie involving a slimy extra-terrestrial slithering through the ventilation system of a spacecraft owes its inspiration to H.R. Geiger’s alien creature design. The iconic chest-bursting moments may define Alien, but the film is also a kind of technical space procedural that we hadn’t seen before, spending oodles of care and detail on seemingly simple details like a spaceship landing on the rocky surface of an unknown planet. In space, everyone can hear you laugh. That was the conclusion after Mel Brooks decided to send up all manner of space movies, most notably the Star Wars saga, with a spoof starring such characters as Captain Lone Starr, Barfolomew, Dark Helmet and Pizza the Hutt. Does it have any technical advancements? Not one, but no one ever said that was the only way to “change” space at the movies. Brooks’ joke-a-second approach made us aware of the silly tropes of our favourite space movies and paved the way for truly sublime comedies like Galaxy Quest. Apollo 13 makes this list by bringing a new kind of adventure to space: the disaster movie. 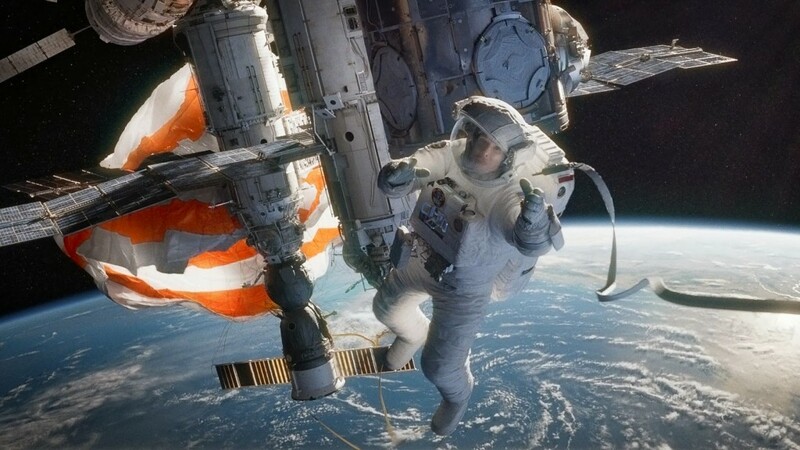 Using state-of-the-art effects to simulate zero gravity and other aspects of space travel facing astronauts, Ron Howard’s movie also became one of the most critically acclaimed prestige pictures to focus on an outer space event that actually happened. Tensions run high as three astronauts try, by hook or by crook, to survive the multiple malfunctions that scrapped their moon landing and threaten their lives. The film really puts you up there with them, and left many audience members on the edges of their seats. Contact tends to divide audiences, especially those who believe that its climax poorly delivers on the semi-realistic aeronautic promises made in the first half of the film. It’s also a questionable inclusion on this list because the vast majority of the story takes place on Earth. However, there’s a visionary sequence in that third act that takes its inspiration from some of the more fantastical elements of the ending of 2001, and it combines with the film’s realistic approach elsewhere to plausibly explore the possibility of travelling to distant parts of the galaxy through wormholes. Like many other films on this list, it’s the type of thing that makes you believe the impossible might be possible. And finally there is last year’s outer space extravaganza, the movie that just had to be seen in IMAX 3D for its magnificence to be fully appreciated. Socks were repeatedly knocked off as audiences watched human characters walk in space and the camera travel around them in seemingly impossible ways — so seemingly impossible that the effects took years longer to perfect than Alfonso Cuaron ever expected. A disaster movie in the mold of Apollo 13, Gravity takes zero gravity effects and camera movements to ostentatious new levels that Ron Howard never dreamed of. Estimated at 80 percent CG, all of which is perfectly seamless, Gravity arrived at a level of technical mastery that it would seem impossible to top. Only the future will tell us whether that’s really true.